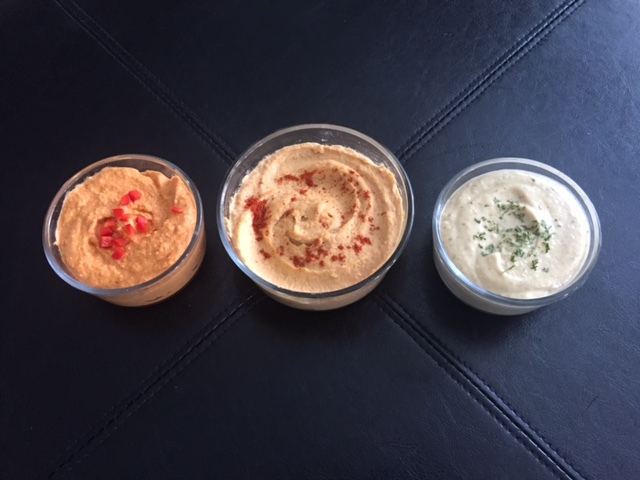 Hummus is protein rich healthy snack. It is a chickpea dip. 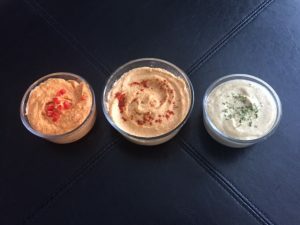 Here we are sharing 3 different hummus recipes – packed with flavour, easy to make and perfect for sharing with friends. – First we ook onions on slow heat so that they are no longer raw ( are caramalized) and then we combine all ingredients, blend them to make a smooth dip. Interested in quick, easy, tasty noodles recipe to make at home for your family for dinner or snack, well then check this recipe out. One of my all time favourites. I love it because I get my fix of vegetables as well as noodles with it. Here are some of our other favourite Noodle recipes that we are sure you will enjoy. Begin by boiling noodles and set them aside. In a wok saute your veggies and add seasoning and sauces. Add sesame seeds and sesame oil towards the end and mix in with the noodles. Serve hot. Protein rich, Fiber rich, gluten free and vegan..these brownies are tasty and healthy. Instead of calling them brownies, it would be better to refer to them as Chocolate power bars. Perfect for snacking and to enjoy with a cup of tea or coffee. 3 tbsp Chia seeds ( soaked in 1/3 cup water for 10 mins) – using this as an egg replacement. – Pour cooked beans in the blender along with other ingredients. Form a mixture. – Pour batter in a baking tray and bake at 350 F for 25- 30 mins. – Let the cake cool down and set before cutting it into pieces. Potato Croquettes a.k.a fried Potato rolls are delicious and great party appetizer or tea time snack. Try them this weekend and fall in love with this comfort food. Enjoy it with mint, mango or tamarind chutney. – Take small portion of Potato dough and fill with cheese. Roll in egg and then bread crumbs. Get all rolls ready and then deep fry until Golden brown.